During the 1970s, the Schwans remodeled the second floor to reflect a tropical fantasy theme. Nevertheless, they left the hallmark details of the home such as the mahogany and marble embellishments intact. This fireplace was designed to hold a mounted stag head, and contains the inscribed words “The divine guidance of God sustains me” in Latin. 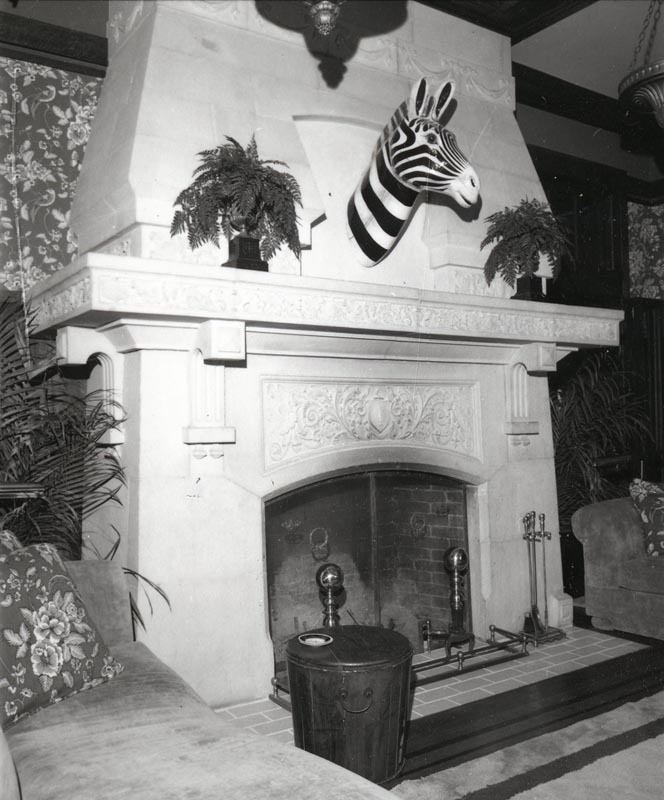 A zebra replaced the stag after the Schwans's renovations.